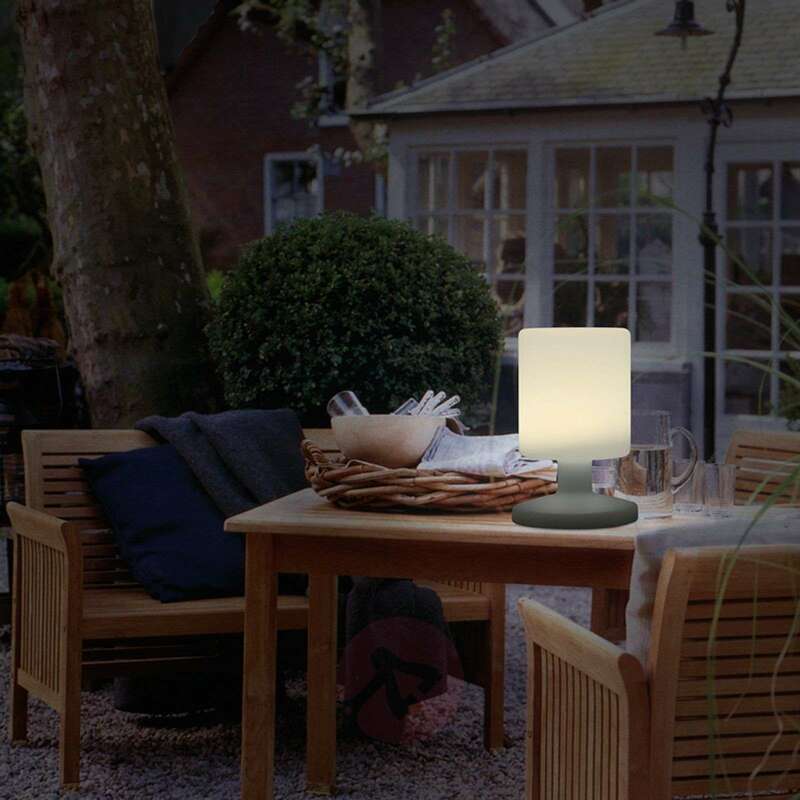 When the sun sets on a summer evening and it becomes dark, warm temperatures make it tempting to sit on the terrace or balcony – for this, you need a light source which emits a subtle and relaxing light. 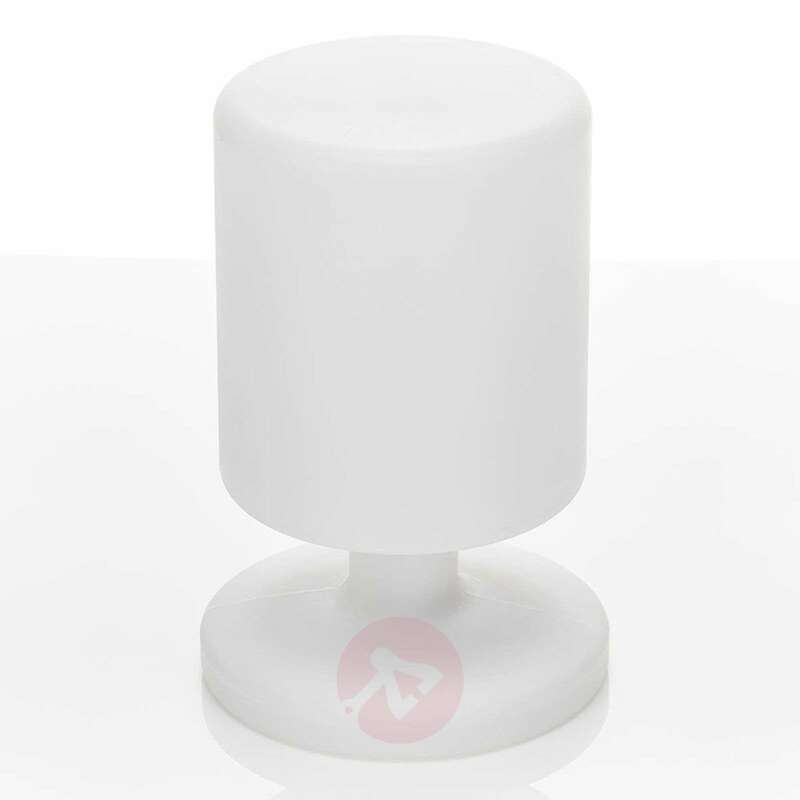 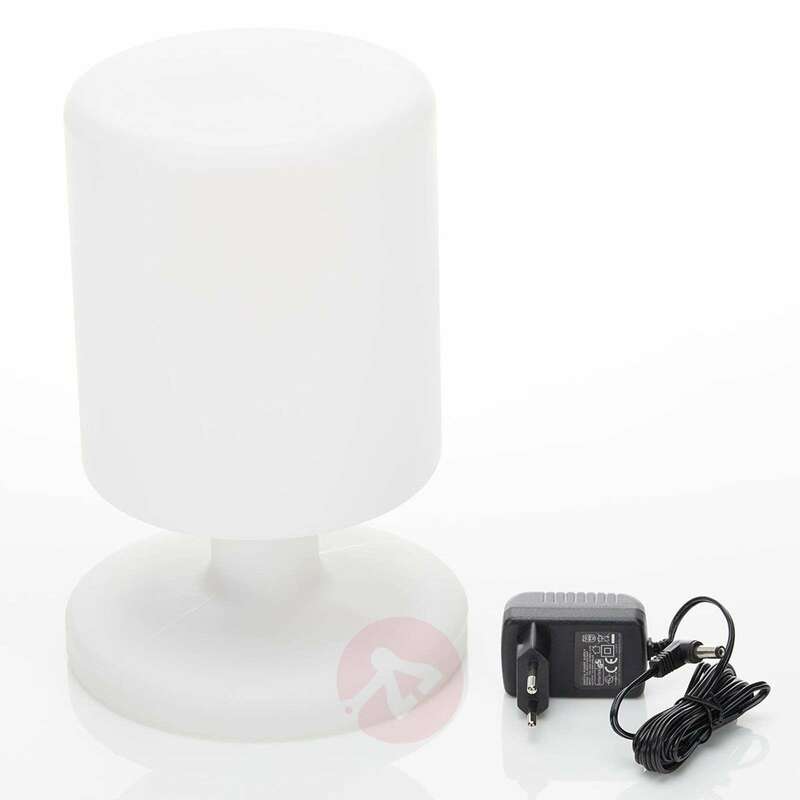 The LED table lamp Ben is perfectly suitable for such a situation. 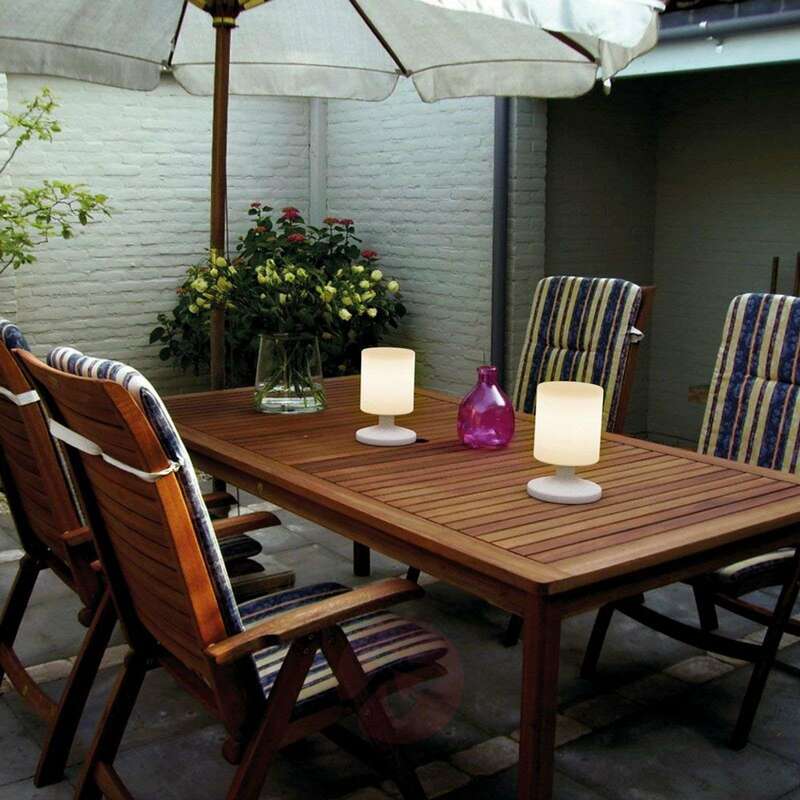 Ben can be used indoors as well as out as the light is equipped with the IP code IP44 and is therefore well protected against adverse weather effects. 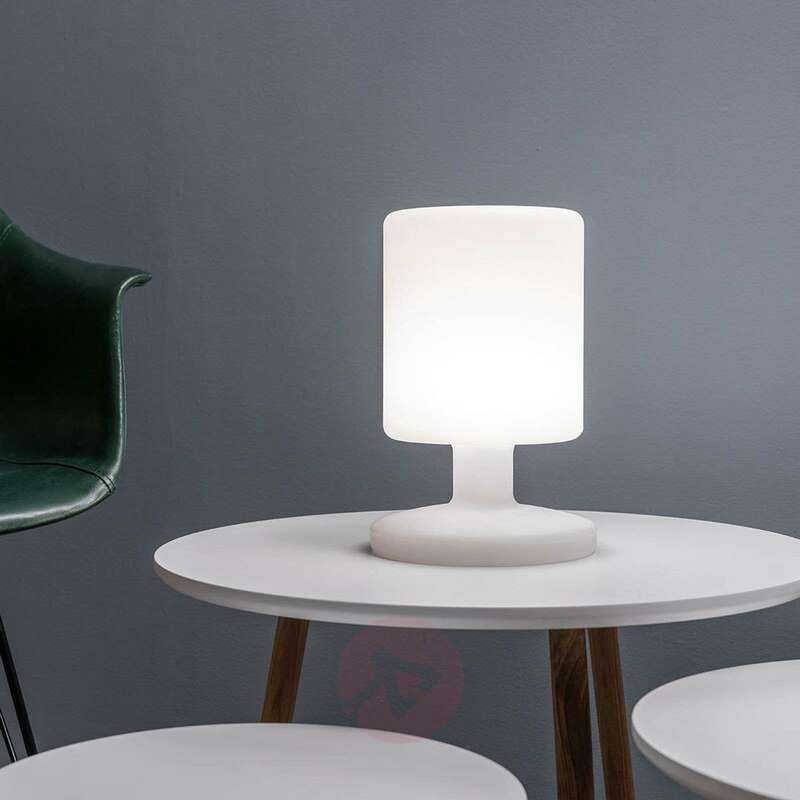 Thanks to its rechargeable battery, the small table lamp does not need to be connected to a power point but rather can be placed on any suitable surface and with a fully charged battery provides up to eight hours of cosy light. 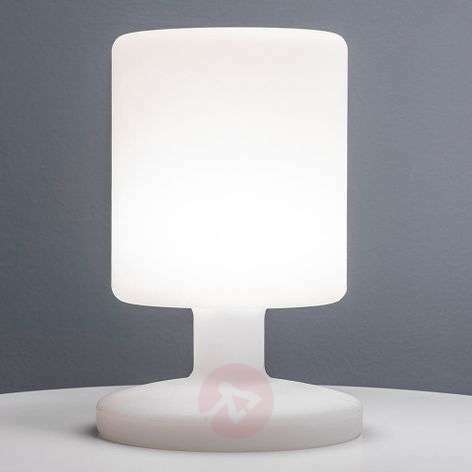 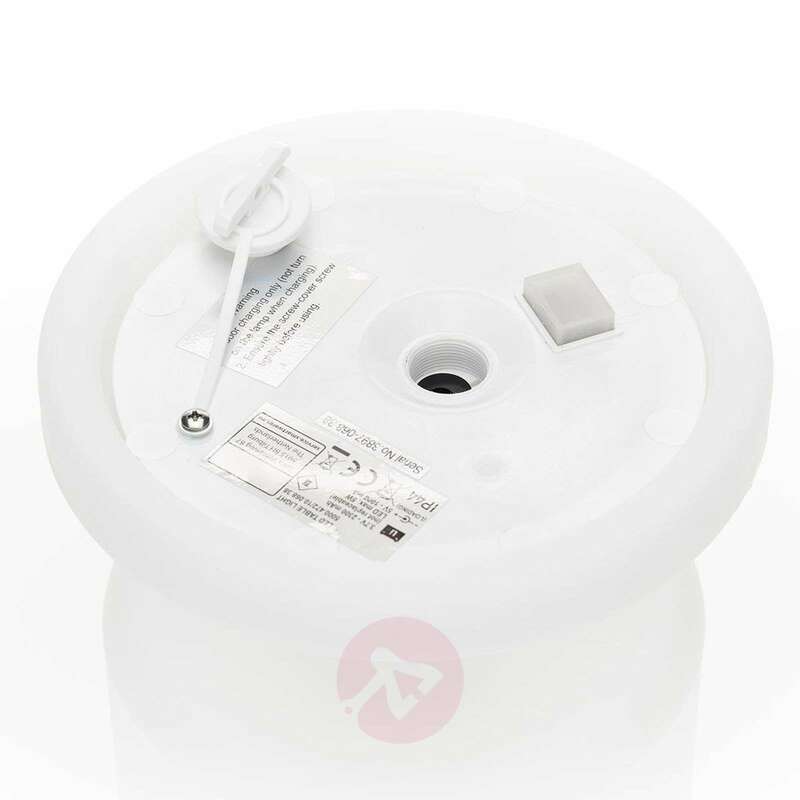 The opal white plastic lampshade acts as a diffuser for the warm white light and ensures uniform, glare-free lighting.